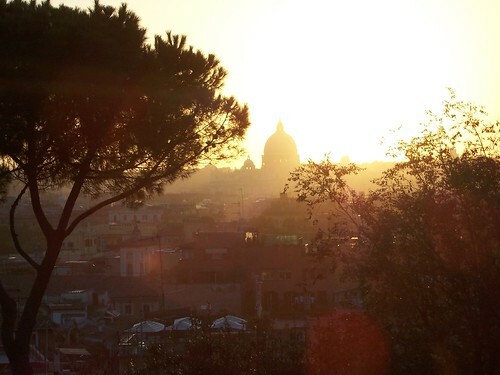 It doesn’t take long to contract cultural flu in Rome. ‘That fountain’s by Bernini, you say? Show me one which isn’t’. Prolonged exposure to a glut of high Renaissance culture can, at best, feel like snow-blindness, or, at worst, like a bender on fine wines. A couple of months into my sojourn in the eternal city, I was already hankering after a pint of bitter and had, from nowhere, developed a bizarre franchised junk food habit. So, the afternoon on which I walked off a few McCalories in the gardens of Villa Borghese was already a breath of fresh air. Families were out on bikes and the place was green. Green after relentless travertine and cobbles. Deep in the park is the Galleria Nazionale d’Arte Moderna e Contemporanea, and this whiteness was the plunge pool I needed, the Alka-Seltzer for my trompe l’oeil hangover. 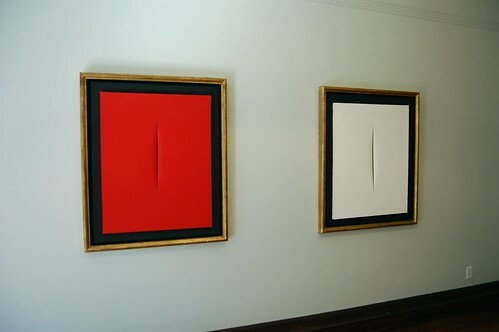 An abiding memory of the gallery is its collection of Lucio Fontana canvases. The knifed slashes are anything but simple and, as your gaze struggles to focus on their solid colours, they move like jaded Op art images. In Alchemy, Guggenheim Museum, Venice, Tamar Yoseloff presents Jackson Pollock’s 1947 painting of the same name. ‘Just when I think nothing can move me, / room after room of Tintoretto, Veronese, Bellini, / the Virgin granting me her doleful eyes, / her pearly tears, // I enter a cool white palazzo, / find his huge canvas, which shows me the truth / of water and fire, in this place / of canals and candlelight, a city he never saw’. The first stanza’s repetition, lists, end-stopped lines and abrupt termination convey the numbness we feel in the face of too much of a good thing. 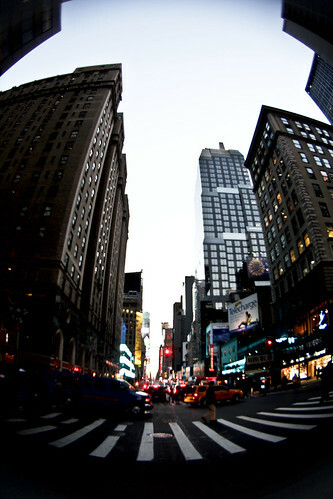 Besides, canals and candles are small and pathetic when compared with their elemental sources. Venice has been reduced to a cultural Disneyland. The stanza break dramatises the distance between Venice’s Guggenheim and the rest of the city’s art and culture. Here we encounter Jackson Pollock’s Alchemy: oil, aluminum (and enamel?) paint, and string on canvas. Aluminium paint’s hardly a traditional artist’s material. It’s more suited to exterior paintwork and creates an illusory metallic effect. Have base materials been transformed into something precious, or is the preciousness an artifice? Perhaps it’s Pollock’s wrestling with the elements, a fight which links him to alchemists like Albertus Magnus and John Dee, that’s of real value. ‘And I stand before this picture, / the man who painted it / dead, like the masters shut away / in these palaces of art, their works their tribute; // wanting to pin beauty to the canvas, / dusty and flightless. But this picture lives, black / against midday sun, legions of day-glo tourists / bobbing along the canal, // and I feel tears / welling up before I can make them stop. I don’t know why; I’m tired, / vulnerable in my light summer clothes, // he and I foreigners to a faith / which isn’t ours: Christ on the cross, / the martyrdom of the saints, spelled out in / blood and gold’. In a sequence of poems entitled The City With Horns, Pollock lies at the heart of Yoseloff’s collection and her all American bars with their tawdry neon signs are in ironic dialogue with Alchemy’s Venice. The pluralized Springs undermines the power of the new beginning, like a smoker’s resolution to quit. Line breaks are used to devastating effect as Lee Krasner ‘cooked his dinners, meat and potatoes the way / he liked, table set with a gingham cloth, / china plates, picked wildflowers to cheer / the vase, binned his gin’. The reader hopes that the wildflowers will cheer the room, cheer Pollock, but Yoseloff’s break disappoints us, as her Pollock disappoints Krasner. There’s something sad about the specificity of ‘china plates’, as it suggests that other meals were eaten from paper or plastic and the internal rhyming of binned and gin makes this gesture sound too easy to be successful. As we reach the stanza break, the hope symbolized by the crockery is transformed. ‘He threw a plate // against the wall, it smashed into a hundred / spiky scraps’. It’s a pleasure to read Yoseloff. Her disciplined technique complements the wild machismo of her subject. 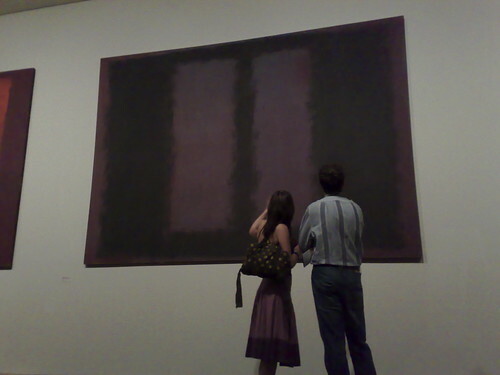 Yet there’s delicious, outrageous black humour here too, as, in Cedar Nights, we read that ‘Kerouac baptised the ashtray with his piss, / Rothko gazed into his glass, lost / in a haze of smoke (later he would slit // each arm, two razored lines, maroon on white)’. Despite the shadow that Pollock casts over The City With Horns, the collection’s first part, Winter, offers some arresting, memorable portraits of urban existence and some beautiful language. In the sonnet, Stamps, which sits square on its white field, licked and applied, Yoseloff sees the stamp as an objet d’art. ‘Long after the letters they carried have vanished, / they flourish, unstuck from envelopes, edges / like stiffened lace, the watermark, a ghost of order’. In the world of email and printed postage impressions, the humble stamp is charged with romance and philately, once the preserve of children and obsessives, is recast as an instinctive desire to connect to a visible, tangible world. 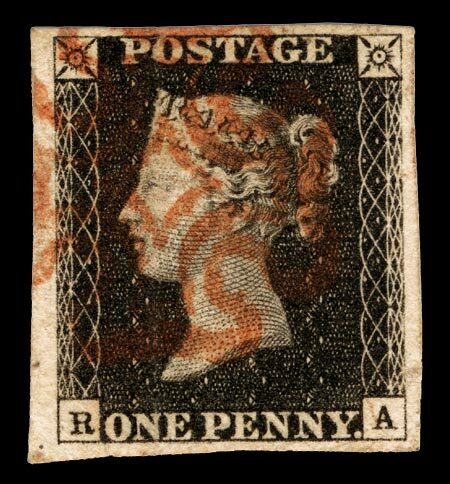 1840 Penny Black with red Maltese Cross cancellation (Photo credit: Wikipedia). In The City With Horns, Tamar Yoseloff’s vision is forked. Yes, we encounter addiction and destruction, but we also encounter beauty and humour. Her writing is disciplined, memorable and moving. Follow Tamar Yoseloff’s blog, Invective Against Swans. Fomerly, an elegiac pairing of Tamar’s sonnets and Vici MacDonald‘s photography, has just closed at The Royal Festival Hall. Check out the website and buy the book here.